Get all the tools you need to write the best line cook resume. Below you’ll find your free downloadable sample, matching cover letter, and 3 expert writing tips. 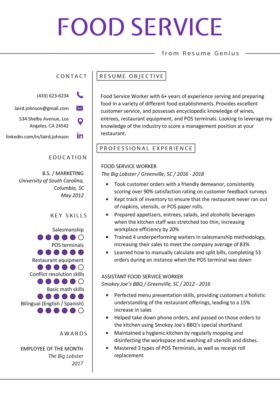 Trying to score the perfect position as a line cook is going to require the perfect resume. Here are a few tips for standing out from the crowd when applying to your dream job in the kitchen. The more skills you add to your resume, the better your chances are of getting an interview. Restaurant owners like to see applicants who already have knowledge of food processing techniques and kitchen organization because it implies that won’t have to spend as much time training them. Below are the most important skills that line cooks should include on their resumes. Every resume should begin with an intriguing introduction that provides the hiring manager with an overview of your skills and achievements. Job seekers have a choice between a data-packed resume summary, powerful professional profile, conventional career objective, or a creative qualifications summary. The sample above uses a career objective to highlight the candidate’s experience with different cuisines, demonstrated skills, and accomplishments. Including these three elements in your objective will give employers a reason to read through the rest of your resume. Let’s break down how the example above used a career objective to their advantage. If you can follow the same style as the example above, you will be sure to capture the attention of restaurant owners. The key to a great professional experience section is to include achievements and avoid repeating the job description. As the line cook, a restaurant owner already has a good idea of what your tasks were, so don’t include generic job duties. Instead, they are looking for proof of how you excelled in your previous positions. Employers are looking for proof of how you excelled in your previous positions. The best way to do this is to add measurable achievements to your resume. 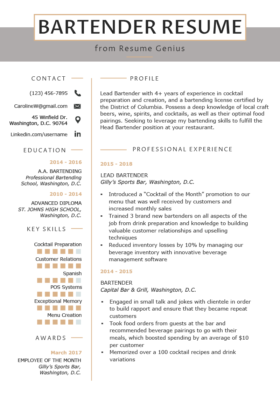 The sample above offers numerous examples of how this can be done for a cook resume. Quantifying the number of guests that he cooked for helps give the employer a better idea of the workload that he is capable of handling. Additionally, the applicant highlights the impressive achievement of receiving a 93% in positive customer feedback. No matter what industry, employers love to hire candidates that know how to make the customer happy. Need more? Get every action verb in the universe! 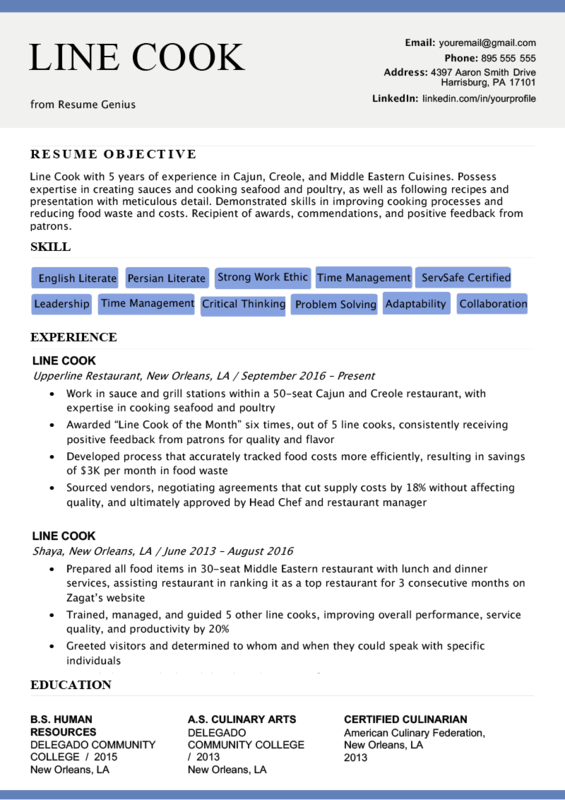 Save time and make an line/prep cook resume in minutes with our online software. Our free resume builder automatically generates job description bullet points and formats them into a beautiful resume template. I have 20+ years of experience working in the restaurant industries, How do I get past the age gap? and plus all of the places I have worked no longer are there they have been sold and torn down and condos have replaced them, with no proof of my work history and my age, What would you suggest I do?